Put another shrimp on the Barbie, grab your vegemite and put on your best Aussie accent, because it’s time to take a look at Outback Steakhouse, one of the biggest Australian-themed chain restaurants in the world. This is where Americans, Aussies (who are now probably too offended to read anymore of this article) and people in 21 other countries come to eat. It offers big flavors, big portions and respectable prices. Americans have fallen in love with many different international cuisines. They have embraced the foods and cultures of South and Central America, and they have accepted everything from the East and from Europe. There are many chains and restaurants to represent each cuisine and location. But when it comes to Australia, there is only one. On the plus side, that “one” is Outback Steakhouse, and Aussie food doesn’t get much better than this. Outback Steakhouse was founded in Tampa, Florida, back in 1988. It was launched off the back of a new company, Bloomin’ Brands, which was created by a group of businessmen a year before the restaurant launch. Just like many famous chains before them (including KFC and Popeyes) their success was based on a unique blend of spices, which they add to many of their marinades. Within just a few short years, Outback Steakhouse had blossomed to nearly 50 locations, at which point the brand went public. It grew rapidly from there, with locations across the United States, Canada and further afield. 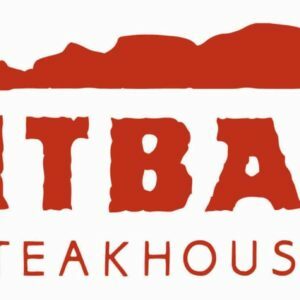 These days Outback Steakhouse has over 1,000 locations worldwide and the success of this chain has allowed Bloomin’ Brands to grow considerably. This chain currently hires over 100,000 employees around the world, generates billions of dollars in revenue and also owns Bonefish Grill, Fleming’s Prime Steakhouse and Carrabba’s Italian Grill. The Outback Steakhouse is all about meat. From big steaks to succulent chops, barbecued, flame-grilled meats are the dish of the day. These can be ordered with a selection of sides, including their Signature Potatoes. There is also an extensive dessert menu. The Outback Steakhouse menu includes Baby Back Ribs, also known as “the food item you can’t hear about without getting that annoying song stuck in your head” (you have Chili’s to thank for that). Aussies love a drink and Outback Steakhouse have a selection of great lagers and wines to choose from. You can find may of these on the Outback Steakhouse menu, including the famous Foster’s lager. The Outback Steakhouse secret menu isn’t very big. Fast food chains tend to have the biggest secret menus and while many casual dining locations also have substantial ones (the Nando’s secret menu and the Olive Garden secret menu are good examples of this) Outback Steakhouse just doesn’t tick that box. The Outback Steakhouse secret menu does have a few interesting items though. These include the Australian Burger, which lets you combine the famous Outback Steakhouse spices and their high quality meats with one of America’s favorite foods. Outback Steakhouse has worked hard to ensure its food can be eaten by those with special dietary requirements. They have a gluten-free menu and their lamb is also certified as Halal. They also have a “Light” menu available, which includes low-calorie and low-fat options. This comes in handy if you’re on a diet, because some of their menu options have received a lot of criticism in the past for containing high amounts of fat. One such item is their Aussie Cheese Fries, a side dish that contains close to 3,000 calories for a single order! If you don’t eat meat, then there are a few options available. However, you’ll probably need to limit yourself to side dishes and entrees. There are a few of these to choose from, however, and you won’t be completely shut out of the menu. Outback Steakhouse have worked hard to ensure they cater for as many special diets as possible, including vegetarians. If you’re a vegan, on the other hand, then you might want to go somewhere else. You can scrutinize the menu and maybe find a side or two that doesn’t contain dairy. But there isn’t a great deal of choice and it doesn’t look like Outback Steakhouse will be changing that anytime soon. Outback Steakhouse is fairly recent when compared to many other big restaurant chains. However, that hasn’t stopped it from spreading all over the world. After launching in the Sunshine State, it quickly spread to other states. Within 8 years, it had made it into Canada; within 9 years it had moved into South Korea; and today there are Outback Steakhouse locations in 23 countries. These include Brazil, who have a culture for big barbecued flavors; the United Kingdom, who have a close connection with Aussie culture and food; and the Caribbean, where they also love their barbecued meat. Outback Steakhouse has also proved to be incredibly popular in the east, with locations in China, Japan, Hong Kong, Taiwan and South Korea. It hasn’t all been plain sailing though. Many of their early Canadian locations flopped, and they were forced to close all 9 locations in the province of Ontario. However, they had succeeded for close to a decade prior to this, and many of those failures were attributed to the financial crash of 2008. Outback Steakhouse is not fast food, and it’s not cheap food either. This is not McDonalds. There are no frozen burgers on the menu. They serve a selection of prime meats, steaks and chops that don’t need to be covered in sauces or mashed into a burger in order to taste good. They let the quality ingredients do the talking, but those quality ingredients don’t come cheap. Many of their menu items cost around $10. This includes their famous Bloomin’ Onion and many of their fish and seafood dishes. If it’s steak you want, then you can expect to pay as much as $20 for a 6oz fillet. Once you factor in sides, drinks, dessert and a tip, you can expect to pay over $50 for a substantial meal for one. If you have a small appetite or opt for the cheaper menu items, you might be able to get by with just half that amount. Outback Steakhouse store hours differ greatly. Most locations open at 10:00am and remain open until 11:00pm. But these hours are reduced on Sundays and during holidays. Check-in with your local restaurant to determine the store hours and to make sure you don’t miss out.